The film industry is underestimating the threat that digital downloads pose to its traditional revenue streams from sales of physical media such as DVD and Blu-ray movie discs, claims the founder of download service iLoaded. The issue is in the news this week, following reports of the imminent UK launch of movie downloads via Apple’s iTunes store and the continuing and increasing growth of user-friendly, legal movie download services from companies such as LoveFilm and iLoaded. “The DVD is only 10 years old and yet the doom merchants are predicting it could join the likes of VHS tapes,” reads a report in today’s Media Guardian, adding, “even DVD industry insiders admit the format may eventually die out. British Video Association (BVA) boss Lavinia Carey, still claims that consumers prefer to own physical copies. And to give them as gifts. "Particularly,” Carey insists, “for TV shows, people love the boxed sets; they love to have the collection and they love to be able to watch it when they want." Kim Bayley, head of the Entertainment Retailers Association (ERA), also continues to back physical discs, adding: "When it comes to movies, image quality is important to consumers, hence the boom in sales of high-definition TVs and so our view is that the most exciting new format of the moment is Blu-ray." Though Bayley adds the important caveat: "It's important that the video business pays attention to the lessons learned by the music industry with the advent of digital." 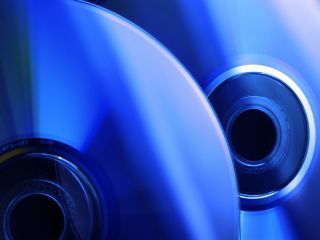 TechRadar spoke with Gary Morris, founder of UK-based movie and games download service iLoaded, who claims that DVD sales will have dropped off within five years due to the increasing growth of technologies making the downloading of movies easier, cheaper and more secure. "In a couple of years time the average movie consumer will be able to download a Blu-ray quality high definition movie in around ten minutes,” Morris estimates. “There are companies now offering 24 megabit download speeds. People hate change, but at iLoaded we understand and embrace the fact that all technologies change. Screen resolution improves, hard drive size gets bigger, screens get larger and feel more ergonomic, download speeds improve, codecs improve daily so you can make larger files smaller and so on,” Morris added. “There are increasingly more new generations of people and more ‘early adopters’ who understand that wireless transmission from their mobile device or computer to their TV is fairly straightforward,” argues Morris, countering the BVA’s argument that the market for movie downloads is not going to be significant over the next five years. “Because iTunes has built such a massive market share based on the sale of the iPod. Now everyone understands that iPod has many flaws – price-pointing in the UK which is disgusting, their own proprietary DRMs and so on. “There are billions of mobile phone users, loads of consumers with mobile devices using Windows Mobile OS, lots of people out there who want something other than Apple’s proprietary system,” he argues. So is the film industry in a similar situation to that of the music industry a few years ago, clinging on to the revenue streams from physical media (CDs)? “It’s different with film. The music companies weren’t just lying down, they were caught asleep – they didn’t even set up digital divisions.